This Blog will go over the considerations when a legal separation might be preferable to a divorce. It will also go over examples of why a divorce might be preferable to a legal separation. It will also discuss why mediation might be the best vehicle to get a legal separation completed and how the court’s involvement might make matters worse. A legal separation is basically a division of all assets and debts without a divorce. If there are children involved, then this would include a resolution of custody as well. the parties fully intend to get back together or do not want a divorce for religious reasons. Counsel has no problem with completing a legal separation for example (1) or (2). However, example (3) could present a problem if a party becomes sick or has a serious accident. Since the parties are still married, the ability to extend or request alimony in the future remains a possibility. In other words, legal separation can involve much more risk than obtaining a divorce which is why counsel would much rather that the parties get a divorce. By the way, the parties could get remarried if they were so inclined. Counsel has often completed legal separation cases in a mediation context. Usually, the parties have a time period on their legal separation such as when Medicare will be in effect. The triggering event entails that the parties get a divorce. Usually, there is a bargained for exchange pertaining to the legal separation. For example, if the husband wants to get divorced and remarried before the specified event occurs, then they might have to provide their wife with health insurance, even if this entails paying for it separately since the divorce entails that it cannot be provided through the ex-husband’s work. By the way, obtaining a divorce usually entails that the party providing it to the other will not be able to continue providing it through his or her employer. 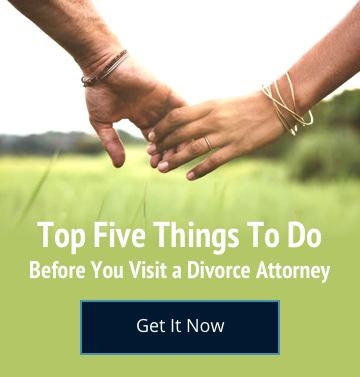 Counsel believes that most legal separations eventually lead to divorce so it is best to mediate these cases to reach agreed upon terms about what is expected during the legal separation and upon divorce.